Are you ready to make it big? The right video could enhance any lyric and take you to the next level of your career. 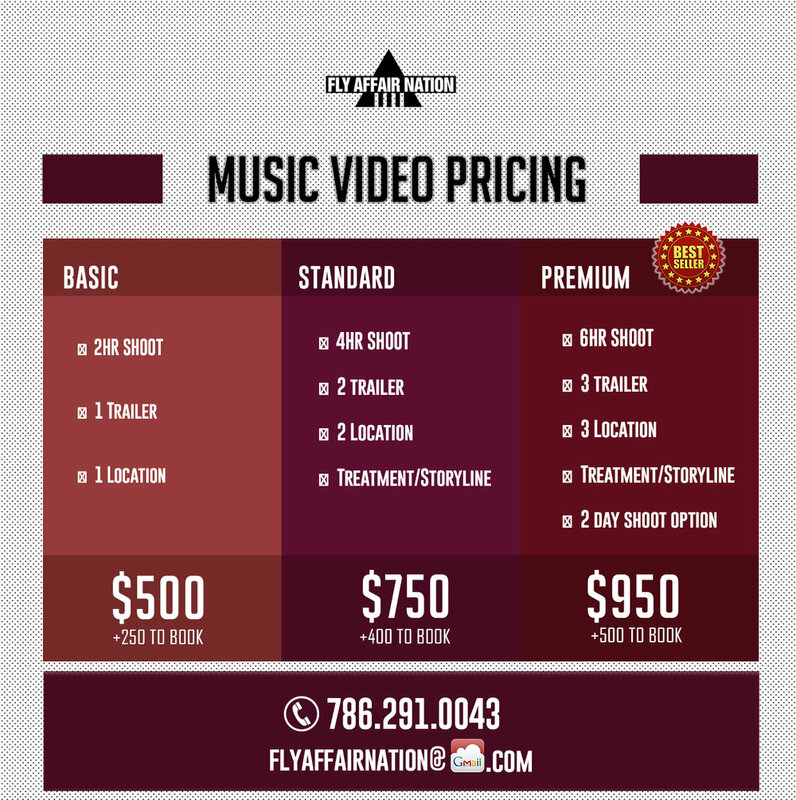 Fly Affair Nation has a special passion for music, right in line with video production, shooting, and directing. We are open to ideas and will be more than willing to share our own in order to get you the best music video you've ever imagined. From constant on set directions and coaching, to behind the scenes special effects, detailed editing and shooting, we take passion and pride in producing art with other artists. For your gritty, edgy, romantic, subtle, or comedic genres, Fly Affair Nation will excel at producing it's best for your music video.